Discover the endless pleasures of playing El Cid’s PGA-rated par 72 course that is host to the Canadian Tour and Mexico PGA tournaments in our Golf Club in Mazatlán. Enjoy three premier golf courses, each with its own signature character. Learn from experienced golf professionals through personalized lessons or join our Golf Academy. 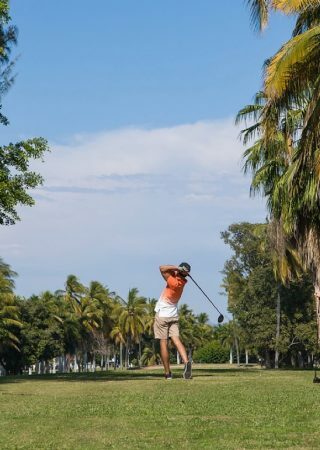 For 42 years, El Cid Golf & Country Club has provided an exceptional golf experience in the heart of Mazatlan’s Golden Zone. 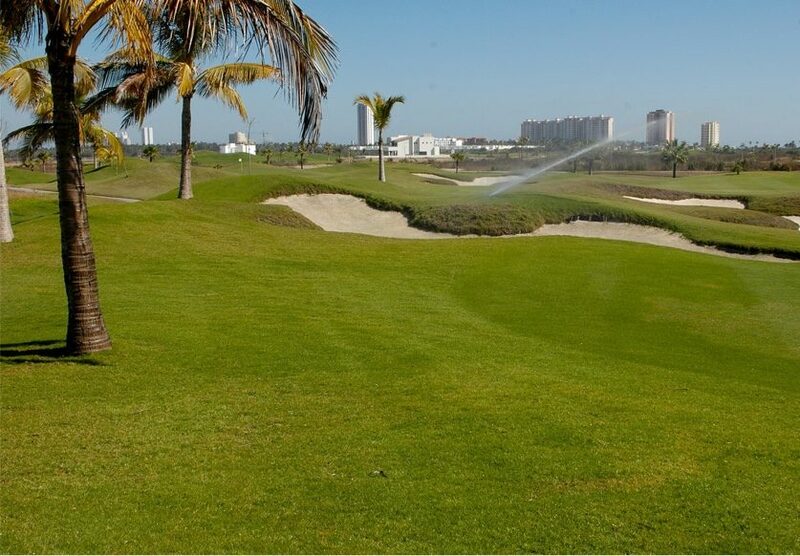 Our 27-hole, PGA-rated championship course has hosted the prestigious Mexico Professional Tour, Canadian Tour and Mexico Golf Federation for Children & Youth, multiple times. The original course features 18 holes, followed by the Marina 9, developed by Lee Treviño in 1999 and described by Golf Today as “an absolute winner”. 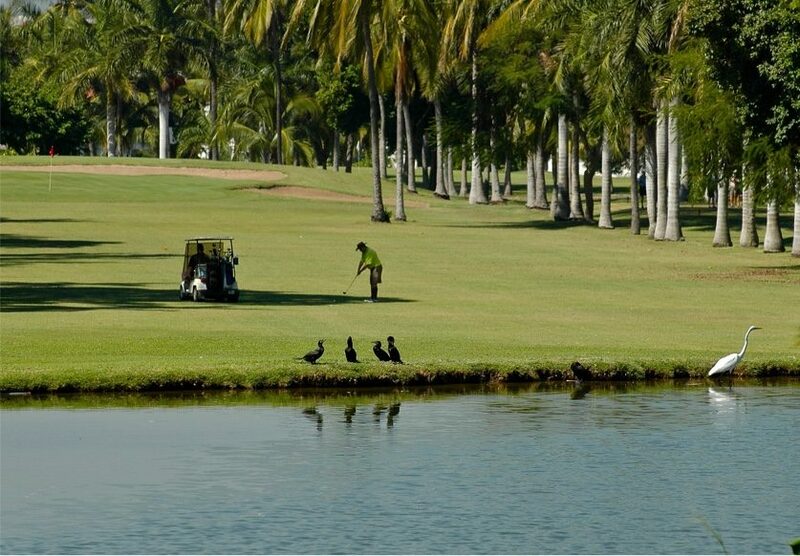 El Cid Golf & Country Club has been described as one of the most remarkable courses along the Pacific Coast of Mexico. 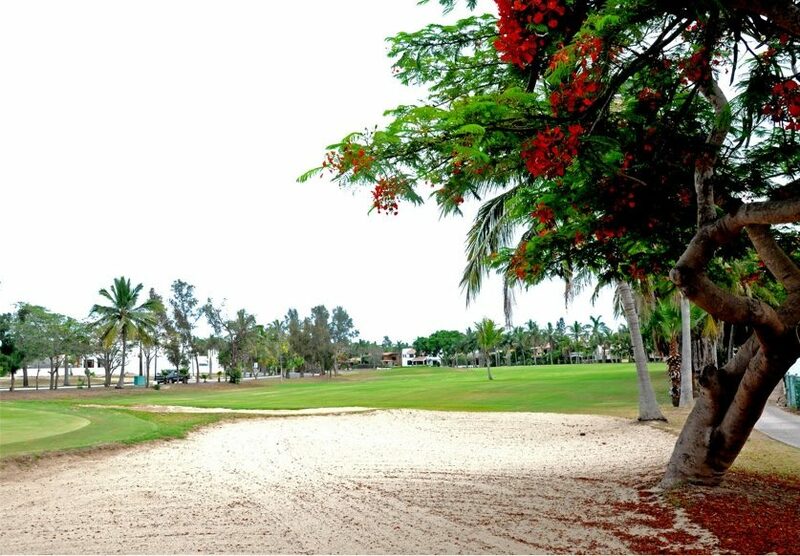 It has generous Bermuda grass greens with fairways framed by majestic palms, pinon, rubber and capiros trees with abundant bird life, turtles and iguanas. Multiple holes play directly along or over water on this beautiful, diverse course, which presents challenges to golfers of all skill levels. For every golfer to warm up or hone their skills, a practice putting/chipping green and driving range is located beside the clubhouse. With our practice facility and highly trained professionals, El Cid is fully equipped to provide members with a memorable golf experience. The 9 holes in the marina course are excellent! This has been one of the greatest golf experiences I've had.Thank You! Everyone was very nice at the Pro-shop, I will defenitely come back. All the staff and caddies are very profesional, I have been coming back to this golf course for 35 years. Very friendly staff and exceptional service. George was an excellent caddie, I had so much fun!